V7 toner cartridges are backed by over 40 years of high-performance manufacturing experience. Toners and key components are carefully selected, matched and verified for optimal system performance before a design is released to production. After final assembly, every cartridge is tested in equipment like yours prior to packaging. High-strength cartons with protective inserts ensure a safe arrival from our warehouse to your delivery location. Each box contains easy-to-follow illustrated installation instructions. By using V7 replacement toner cartridges, you are also helping to protect the environment by keeping reusable, non-biodegradable materials out of landfills. 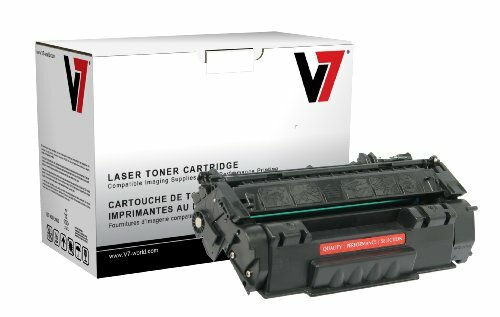 V7 toner replacement cartridges are the environmental and cost-friendly alternative that doesn't compromise quality.